CAHUITA NATIONAL PARK, Costa Rica , Apr 14 2014 (IPS) - The critically endangered hawksbill sea turtle has few sanctuaries left in the world, and this is one of them. But in 2012 only 53 nests were counted on the beaches of this national park in Costa Rica. And there is an enemy that conservation efforts can’t fight: the beaches themselves are shrinking. For centuries, the over eight km of beaches in Cahuita have provided a nesting ground for four species of sea turtle: the leatherback sea turtle (Dermochelys coriacea), the green sea turtle (Chelonia mydas), the loggerhead (Caretta caretta), and the hawksbill (Eretmochelys imbricata). But the erosion of the sand and the rising sea level have reduced the size of their breeding grounds and the number of turtles who come to lay their eggs in this national park in the southeast Costa Rican province of Limón after migrating across the Caribbean sea. “Many turtles now go to the beaches outside the park, in places we have no control over, which makes them more vulnerable,” the park administrator Mario Cerdas told IPS. In the three years he has run the park, Cerdas has seen a drop in the numbers of turtles coming to nest. The Cahuita National Park covers 1,100 hectares of land on a swampy peninsula and 23,000 hectares of ocean, including the country’s most important coral reef. It was created in 1970 as a national monument, and in 1978 was declared a park to protect the fragile ecosystems. The turtles’ change of destination, to beaches outside the park, is not the only concern. In sea turtles, gender is determined by the temperature of the sand on the nesting beaches, with cool beaches producing more males and warm beaches more females. As a result of climate change, heat is increasing in Central America, which means that more females than males are born. “This could be acceptable for the population up to a certain point, but if the gender ratio gap becomes too big, there could be problems,” said Borja Heredia, a scientist with the secretariat of the Convention on the Conservation of Migratory Species of Wild Animals (CMS). And this is just one of hundreds of cases where climate change is affecting migratory species. Drought in Africa is hindering the journey that millions of birds undertake every year across the Sahara desert; polar bears are finding it more and more difficult to find food; and global warming has modified the migratory routes of the monarch butterfly. Scientists and government officials from around the world met Apr. 9-11 in Guácimo, Limón to study these effects and find solutions. The workshop was organised by a CMS working group on climate change, made up of experts from more than 20 countries. “What we are looking at is how to tackle climate change and the impact on migrant species, and that can be whales, it can be turtles, it can be birds, it can be invertebrates,” Colin Galbraith, head of the working group, and the CMS Conference of Parties appointed councillor for climate change, told IPS. The team is to deliver a report in early May to the 120 states parties to the Convention. In June, the CMS’s scientific committee will evaluate it. After that, the next step would be to receive the approval of the Conference of the Parties in November in Quito, Ecuador. Because climate change is expected to bring different changes to different regions, protecting species that migrate through the various regions presents an unprecedented challenge. Manmade national borders do not mean anything to animals, which is why the CMS aims to create an international system of conservation areas to protect them on their migratory routes. Galbraith told IPS that the report will focus on three main areas. “Pulling information together and putting it into a plan to develop information and data sharing; how can we adapt to climate change but then also how can we help different countries build capacity; and how can we communicate this to the wider world,” said the head of the working group. In March, the Intergovernmental Panel on Climate Change (IPCC) confirmed the fragility of the world’s ecosystems to global warming, in the second volume of its 5th Assessment Report on Climate Change, which focuses on impacts, adaptation and vulnerability. In coastal zones, the rising sea level is endangering habitats like coral reefs, wetlands and nesting beaches. 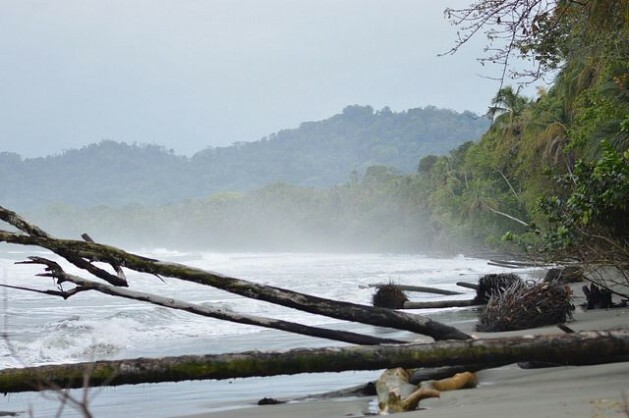 In Cahuita, for example, up to one-quarter of the beaches have been lost in 15 years, according to Cerdas. During the last high tide event, the water reached the park ranger’s wooden house, which is located 100 metres from the high tide line. “Migratory animals face many of the same challenges that humans do: having to choose when to travel, what route to take, where to eat and rest, and how long to stay before returning home,” CMS Executive Secretary Bradnee Chambers wrote in a column published by IPS. “Unfortunately, these choices that are seemingly so trivial for humans are life-or-death decisions for migratory animals,” he added. The report by the working group that met last week in Costa Rica will also be taken into consideration by the United Nations Framework Convention on Climate Change and the Convention on Biological Diversity, in an effort to generate multidisciplinary knowledge. “The different environment-related conventions have to start to look each other in the eye and work together more, cooperating with resources and research,” said Max Andrade, head of the public policy unit in the under-secretariat on climate change in Ecuador’s environment ministry. Ecuador will seek to put a spotlight on global warming, as host to the next Meeting of the Conference of the Parties to the Convention on the Conservation of Migratory Species of Wild Animals (CMS COP11), Andrade said. The decision to create the working group on climate change was reached at the last meeting, held in Norway three years ago.